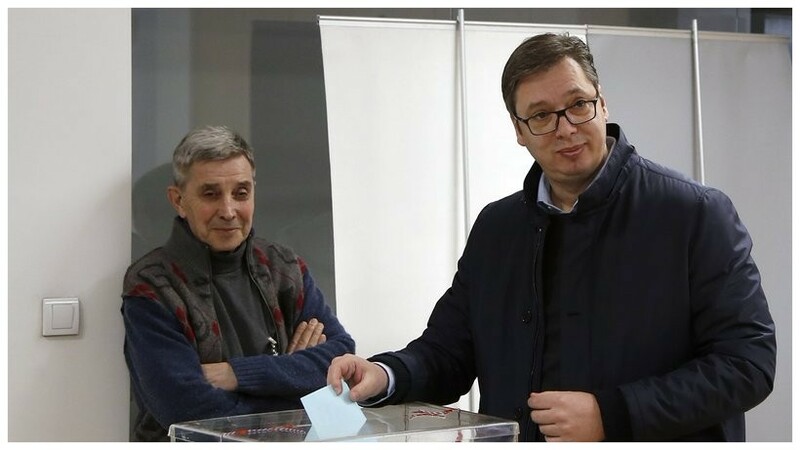 On Sunday, 4th of March 2018, municipal elections were held in the Serbian capital Belgrade, which had more than just local political significance. 1,606,931 people were eligible to vote, who had to choose between 24 lists. The councilors were elected for a four-year term. Serbian President Aleksandar Vučić and his Progressive Party (SNS) clearly won the local elections in the capital Belgrade. Vučić (see picture) has reached 45 percent of the votes cast as an SNS list leader. His party won 64 of the 110 seats of the Belgrade City Council. Thus, the SNS does not need a coalition partner. His main contender, former Belgrade mayor and entrepreneur Dragan Đilas, came tp 18.9 percent and 26 seats. The former mayor of New Belgrade, Aleksandar Šapić, won 9.0 percent and 12 seats. The Serbian Socialist Party, which is a coalition partner of the SNS at the state level, achieved 6.1 percent and thus has eight seats in the Municipal Council of Belgrade. All other parties failed at the 5 percent hurdle and missed the entry into the council. Most opposition parties acknowledged the defeat in the evening. However, Đilas accused his opponent of undemocratic practices and talked about buying votes. The president of the City Electoral Commission, Zoran Lukic, said that there were no major problems and that the irregularities that happened could not affect the election process. Vučić had led the list of his SNS, although the Constitution prohibits. It requires a separation of offices. Nevertheless, his party’s electoral list was officially named “Aleksandar Vučić – because I love Belgrade”. The Serbian president had made big promises to the citizens, such as the rapid construction of a subway and a cable car in the city. It was also noted that the President of the Republika Srpska, Milorad Dodik, (Bosnia-Herzegovina) cast his vote in the municipal elections in Belgrade.